It is easy to dismiss Davos as nothing more than a talkfest among greedy CEOs, cheerful philanthropists and photogenic celebrity activists. Yet this narrative – which is annually recited by mainstream media – fails to do justice to what the Annual Meeting of the World Economic Forum (WEF) is really about. The coverage of Davos 2018 was no exception, all the more so with President Trump as closing guest. Much of the global confusion around Davos has to do with its inherently elitist nature. As Justin Trudeau openly conceded in his speech, “the people who matter most” are “the people who aren’t here in Davos and never will be”. So, who actually goes to Davos? Only out-of-touch do-gooders/tech plutocrats or real ‘action figures’ changing the world as well? The WEF invites around 3,000 participants from across all stakeholder groups, including public and private sectors, civil society, academia, media, and arts & culture. Definitely the few not the many. Yet over the years Davos underwent a gradual process of timid ‘democratization’. A glance at the list of participants and their demographics shows how they have gradually diversified, thus becoming more representative of a multi-polar planet which no business, state or social force can run on its own. In addition to the delegates, there are more than 30,000 attendees participating in side events, not to mention the millions of citizens who followed live dozens of sessions from their desks. This year an Open Forum enabled additional thousands of people to attend sessions in the Alpine village. While this timid opening of the Davos experience has further fuelled its global success – with more and more actors amplifying its message in public discourse – it is also endangering its own formula. The purists argue that the hordes of new participants who fail to stick to the Davos etiquette and free-ride on paying participants eventually devalue the whole experience and threaten its actual impact. But what realistically does Davos do “to improve the state of the world” (the actual WEF motto)? While it is extremely complex to quantify the actual impact of hundreds of workshops, plenary sessions and thousands of bilateral meetings taking place every year since 1974, the Summit provides one of the rare occasions on which generations, continents, the private and the public sector mix with one another. At a time of record-low societal trust vis-à-vis virtually all organised interests – be they the media, the business or civil society – Davos emerges as a treasured and hard-to-replace exercise. Anecdotal evidence suggests that wars were prevented, trade agreements concluded and new modes of governance pioneered in Davos. Yet it noticeably missed the last financial crisis, and was taken by surprise by the Brexit vote and Donald Trump’s election victory. But the Davos mission lies elsewhere. Although largely overlooked, the WEF’s unique talent is not problem-solving, but agenda-setting. In particular, it excels at spotting incipient societal, economic and political changes, thus acting as a catalyst for change. That’s what it did when it put on the agenda issues such as global warming and inequality. The Forum often leads by example, having banned all-male panels well before the #MeToo moment and has designated an all-female chairmanship for the first time this year. In other words, rather than providing solutions, the ‘Davos method’ plays a subtler role of changing the social norm by pressurizing the elites to be agents of the change the world needs. This subtle yet overlooked ‘Davos effect’ on the elites’ mind-set is incremental and transformational of the Zeitgeist. The most powerful illustration of the Davos effect is today’s restless hunger for impact among world business leaders. Despite being accompanied by some inevitable bling-bling, the talk-in-town is no longer about who is the richest guy in the room, but the one who has saved – or improved – more lives. That’s what Davos is good at, but nobody gives credit for. Unfortunately, despite all the fanciness of impact investment and the spread of other socially-driven economic vehicles, the mechanisms to attain these valuable ends haven’t really been democratized. As I overheard in Davos this time, 1 per cent of the world population sets the rules, 5 per cent of it plays with them, the 95 per cent doesn’t even know there is a game. As cynical as it may sound, that’s what triggers the ‘Davos effect’. Think of how large tech companies are currently devising (and selling) AI solutions for the addiction problem they themselves have created. Or how others – by taking advantage of the absence of regulation – are engineering new cryptocurrencies hoping for overnight riches in nascent markets. The few – even though more numerous than ever – continue to change the world for the many. 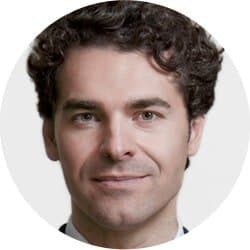 Alberto Alemanno is Jean Monnet Professor of European Union Law at HEC Paris, founder of The Good Lobby and author of Lobbying for Change: Find Your Voice to Create a Better Society (Iconbooks, 2017).